They found a new genetic variant, common among villagers, which appears to protect the heart by lowering levels of "bad" fats and cholesterol. What's special about these Greek villages? The isolated villages of Zoniana and Anogia are high up in the mountains on the island of Crete. Few people move in or out of the villages and the inhabitants are known for living well into old age. Heart problems, heart attacks and strokes - all types of cardiovascular disease - are rare, and that's despite a diet which includes plenty of lamb and local Cretan cheese. There is a cheese festival held every year in the villages, by the way. Well, this kind of diet would normally be a recipe for lots of health complications. That's because eating foods that contain saturated fats raises the level of cholesterol in the blood, and high levels of low density lipoprotein (LDL) cholesterol in the blood increase the risk of heart disease and stroke. 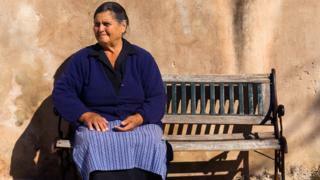 The villagers do get type 2 diabetes at the same rate as the general Greek population, but they don't seem to suffer from the usual consequences, such as diabetic kidney disease. So what's different about their genes? That's exactly what researchers from the Wellcome Trust Sanger Institute wanted to know. Was there something in the villagers' genetic make-up that protected their hearts against disease? Their research, published in Nature Communications, identified a new genetic variant which has heart-protecting qualities. It is associated with lower levels of "bad" natural fats and "bad" cholesterol - which are important for lowering the risk of cardiovascular disease. The variant appears to be virtually unique to the population of the two mountain villages. Out of thousands of Europeans who have undergone genome sequencing, only one other person in Italy possesses this variant, the researchers said. To solve the puzzle, they sequenced the entire genome of 250 villagers. That means they took blood samples, extracted the DNA - the operating instructions for each one of us which determine how we look and who we are - and analysed a string of three billion letters which make up their human genome. Then they used the results to get a more detailed view of more than 3,000 villagers who had already been through genotyping (a shortcut to acquiring some genetic information). This discovery isn't a reason to go out and eat your weight in animal fat and cheese. That wouldn't be recommended at all - because the rest of us don't possess this genetic variant. But scientists say they can use their discovery to work out which genetic variants play a role in causing complex diseases. This can give clues as to why some people develop heart disease and some don't. In this study, using this isolated population, they found a genetic variant no-one had seen before - and it's linked to the most common cause of death worldwide, cardiovascular disease. But there's still much to find out. Scientists can't tell why the variant is present - it could be to do with how the villagers live their lives, the environment they live in or it could have been passed down the generations. So isolated populations are useful? Very. Other research teams are looking at different isolated populations, such as the Amish in the United States, the Inuit in northern Greenland and the Orkney Islanders, in Scotland, to see what else they can discover about the secrets to staying healthy.